In the hands of Omiwahn. Use TB4TWYQ to reference this item. A race has begun betwixt The Chesh and Nyvlak. One is from Swindon, UK, the other from Colorado Springs, USA. A travel bug has been released from each location and the challenge is to see which one reaches the other members home town first. 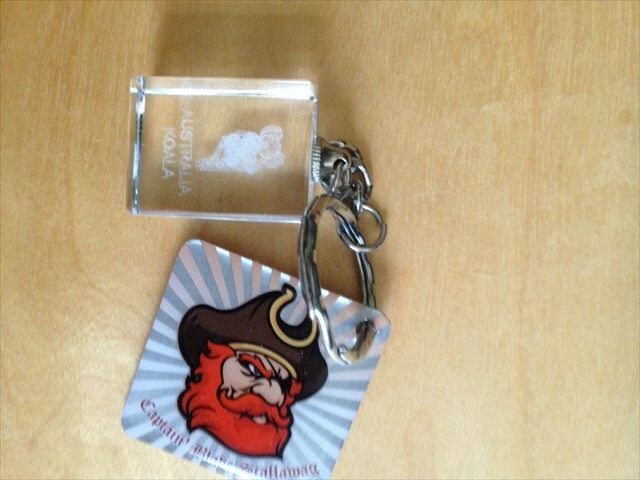 Please help this pirate tag make its way onwards to Colorado Springs. Once this primary mission has been achived, the tag is free to roam wherever the holder desires. It's a shame that I didn't pick this one up before my trip to the USA as I visited Colorado Springs, but I'll move you further on in the UK. Shame this isn't the one going to Swindon as we are going there at the weekend. Best not to take you back there then. Could offer you France in July, maybe will just place you locally.